Our energy is so important. And energetic hygiene, like our bodily hygiene, is also important. So how do we do that? Well we cleanse our energy! 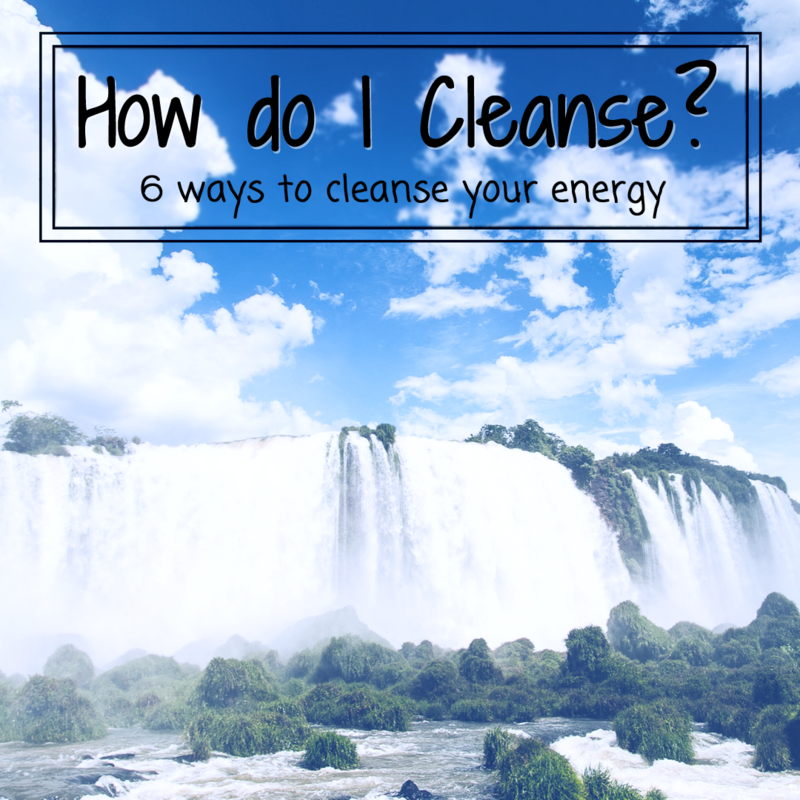 Cleansing our energy is one way we can practice energetic hygiene! As we go throughout our day, much like how we pick up germs, we pick up gunky energy. It can come from catcallers on the street. From people yelling at the cashier for something that cashier has no control over. From that dude telling you to smile. And so many more ways! But that doesn’t mean we should avoid going out. It just means we take steps to care for our energy. To clean it off at the end of the day! And that is what we are talking about here, how to cleanse our energy. One of the major ways you’ll see out there is to burn some sage and waft it around yourself. But you can also burn incense, a piece of wood like palo santo, or herbs. But not smudging. And you can read why here. Salt is also cleansing! So before you just dump the table salt over your head, maybe consider an Epsom and Himalayan Salt bath. Or sea salt. I LOVE taking a nice salt bath. Light some candles. Pour something delicious to drink. And just relax. Ahhh. Sound is vibration. And so is like, everything else. Kind of like energy huh? Well we can cleanse with sounds too! Ring a bell. Listen to a meditation sound track. Or if you live near someone offering sound baths or immersions (like me!) you can attend an in person event to feel these vibrations in person! If you didn’t already know, crystals are amazing tools! Selenite is a good crystal for cleansing. So are quartz and smoky quartz! Smoky Quartz specifically helps to ground energy out. You can simply lay with the crystal on you, pass it through your energy, or carry it on you for added boost. I keep various crystals all throughout my home. Reiki is an energy work tradition that is great for cleansing away that extra gunk! If you are a reiki practitioner, you probably already know this. If you are not a reiki practitioner, you can find a local practitioner through Google, OR you can go ahead and schedule a distance reiki session with me! Running water, especially from a natural source is also great for cleansing! There is just something about getting into the ocean (which also has salt), stepping under a waterfall, or taking a dip in a spring that just cleanses the energy in a magnificent way! Plus there is the added bonus of being in nature which is said to aid in relaxation and letting go of stress! Which one are you going to try first? !